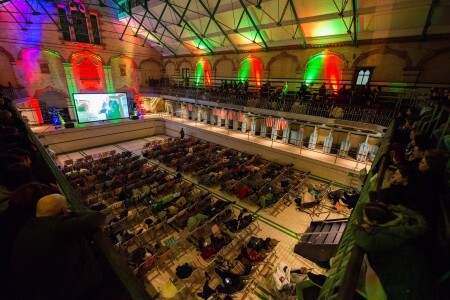 Sheffield-based The Village Screen is returning to Manchester's Grade II listed Manchester Victoria Baths this Valentine's season. On Friday 10th and Saturday 11th February The Village Screen will hope to inject some Valentine’s magic into the Gala Pool. On the evening of Friday 10th February, they will be screening 90’s Rom-Com classic 10 Things I Hate About, as well as Disney’s Beauty and the Beast on the afternoon of Saturday 11th February and Wes Anderson’s quirky and delightful Moonrise Kingdom will feature on the evening of Saturday 11th February. While the showings are close to Valentine's Day, the events are not just for couples, but for anybody who would like to experience a little bit of Valentine’s magic in a unique setting. There will also be local DJs, The Colonel and Jimmy the Gent, as well as tasty street food vendors Proove Pizza, Caribou Poutine and Ginger’s Comfort Emporium. The Village Screen bar will be open at each event serving prosecco, wines, craft beers and soft drinks. Audiences will be seated on beautiful vintage deckchairs in the Gala pool, as well as on the mezzanine level above the pool to watch the films on a huge, 16ft screen. The Village Screen has been transforming the pop-up cinema scene in Sheffield and Manchester over the past 18 months, screening iconic films on car park rooftops, in outdoor swimming pools, disused warehouse spaces and woodland areas. 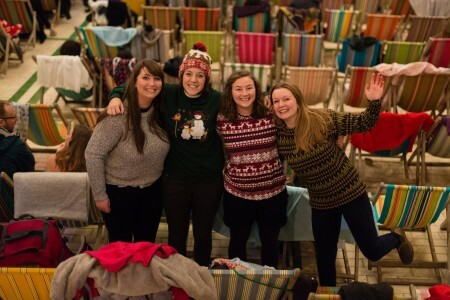 Claire from the Village Screen told the NQ: “Victoria Baths is the perfect location for our pop-up cinema events in Manchester and we can’t wait to transform the Gala Pool again, this time into a romantic cinema experience with a friendly and laid-back atmosphere. Pool level tickets are priced at £14.50 for adults (16+) and £11.50 for children, students and seniors (60+). Mezzanine level tickets are priced at £13.50 for adults (16+) and £10.50 for children, students and seniors (60+). Online ticket booking fees apply. You can find out more about these events and buy tickets from noon on Wednesday 18th January 2017 here. VIDEO: Wayne Hemingway: "you're not born with talent, you earn it"